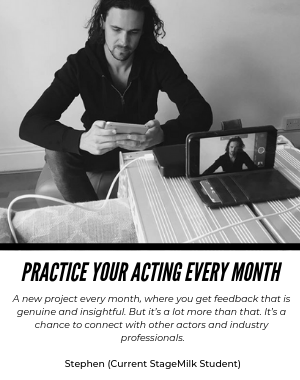 If you haven’t been through an acting institution, or have just arrived for your first day of training, you may find yourself staring blankly at a director, teacher or fellow actor as they speak to you in acting jargon. What the hell are they talking about when they say “what is your objective?” What are you meant to do when you are asked to “change your action”? What the hell are stakes, and why does everyone keep telling you to raise them? Fear not! 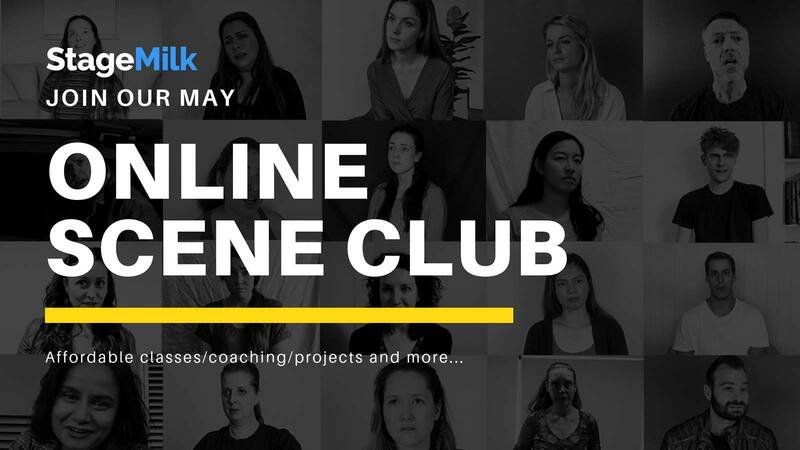 All acting concepts are relatively easy to get your head around, and are terms which speak to a way of thinking about acting process, character development, performance energy or text specificity. They are tools used to help you, not hinder you, and are designed to keep your performance dynamic, and your focus outwards, rather than inwards. Having a basic understanding of the most popular schools of thought will allow you to communicate well with directors or fellow cast members effectively, regardless of their preferred method. Stakes refers to the intensity of drama that is happening in a scene. It is to do with the engagement of the characters with the subject matter or actions that are transpiring at any given moment. Basically we don’t want to watch characters that don’t care – that’s boring! Whatever is going on in a scene, your character should feel strongly about it. No matter how mundane you think a moment is, it always has a purpose for the story and your character arc. When someone tells you to raise the stakes, they are referring to your character’s engagement with what is going on. What are the stakes for your character? What could they lose, and what could they win? By raising the stakes, you increase the drama, tension and importance of each moment on stage or screen. This is fairly easy in drama and tragedy, usually it’s right there on the page. Your character could win/lose great love (Romeo and Juliet), they could win/lose significant power (Macbeth), or they might win/lose their life by fighting for a cause (The Crucible). Stakes do not just apply to drama and tragedy. Comedy relies on a character’s investment in what’s going on, and usually the most hilarious moments come from an character playing huge stakes for trivial circumstances. Seinfeld is a great example of this. In this show each of the characters treat trivial issues with the same intensity as life or death situations, and it’s their over reactions to these pointless dilemmas that create the comedy. The “stakes” are high for the characters, and that keeps us as the audience engaged. This is a fancy term for “whats going on?” When someone asks: “what are the given circumstances?”, they are referring to the who, what, why, where, how of any moment. By investigating the given circumstances, you are investing in the world outside of the scene. Where did you just come from? Are you in a good mood? Is it morning? Are you a morning person? Do you like the person you are talking to? Why are you here? Do you want to be here? Is this space familiar, or is it foreign? Are you an outsider? Are you in trouble? What do you expect to happen? All these questions help ground you in the world of the play, and provide detail to your performance. Don’t let these questions bog you down, the most important thing is what is happening in the moment, but consider them for how you approach a scene, as they provide the all important context for the scene and for your character. The objective is your character’s motivation. It is what the characters wants, from the micro, through to the macro. I had a fantastic director once, whose main note was the phrase “what do you want?” This is the core principle of objectives. What does your character want? By having specific objectives, your character will always have a purpose, and as a result your performance will have drive and direction. You can divide your objectives into scenes, acts and the story as a whole. Your overarching motivation is called your super objective, and is the most important objective your character is trying to achieve throughout a story. As the story moves you may have smaller more specific objectives for different scenes and interactions, but your super objective is the one you must continually come back to. Take a character like Cersei Lannister from Game of Thrones. What does she want? To obtain power. To obtain power is her ultimate motivation. It is her super objective. It drives every move she makes and underpins every interaction she has. In some scenes her objective might be more specific: her objective might be to make love to Jamie, or to belittle Tyrean, or to obtain information, but overall, she is constantly seeking power. Actions are very similar to objectives but should be employed line by line, rather than scene by scene, beat by beat or as a broad super objective. Actions make sure you are constantly employing an a array of tactics to achieve your objective, and means you are never being passive in your performance. The theory behind actions, is an acknowledgement that people are constantly in a state of flux. We are intelligent creatures that constantly adapt to a situation to achieve our aims. An action is a verb you attach to a line which provides motivation for its delivery. When a director asks “what action are you playing” they are asking “what is your tactic”. This may be to beg, to impress, to bargain or to dismiss. Any verb or sentence works (even abstracted verbs like slash, push, enlighten, engulf) as long as you can play that action to affect someone. You should never play the same action twice, and you should never play an action on yourself (to trick myself, to lie to myself, to feel sorry for myself, these take out of the drama). They should be specific to a line, and ever changing to create a detailed dynamic performance. Actions are a great way of tackling a tricky interaction, or making sure you are engaged in the action of a scene rather than being bogged down in trying to reproduce an emotion. An action, as is implied by the word, keeps you active. This is a simple concept that is often made quite confusing. Simply put, it can be translated to “What are you talking about”. Targeting something, means to put something specific in your mind’s eye and letting that something affect you. In other words, make sure you are thinking whilst you are talking. It is more effective as an actor to allow emotional response to come out as a byproduct of thought, than to try and recreate or force emotion out of yourself. Choosing the right target to be focusing on creates deeper engagement with the text and subject matter, and your performance will be more grounded in the real world as a result. A target should be something real, that is outside of yourself. You can’t target your own heartache for example, but you can target your lost lover, and heartache will come as a result. You can’t target your own jealousy, but you can target the success of your enemy, and the jealousy will come out as a result. It makes sure you are always focusing on the outside world, and using that as stimulus for any reaction. You know, like how we operate in real life. For example, say you are playing a mother that has lost their child, and you are performing a monologue about their loss where you need to break down. Playing generic “sadness” will give you a lacklustre performance. The audience will see through the facade, and no matter how good your cry-on-cue acting is, it will be a mimicry of sadness or grief. If instead you do not worry about producing the tears and instead “target” your beautiful child, and how wonderful they were, picture them looking up at you and saying “i love you mum”, this will elicit a genuine response because you are allowing the world of the story affect you, rather than trying to effect the story. It is a very useful tool particularly in long runs, where emotional connection can become stale. You can change your target to keep things fresh without changing blocking, direction or intention. Beats are a way of breaking down a scene into more specific sections. It is a great way to analyse a scene, and also to separate it into easily digestible segments. Basically a beat is a dynamic shift. It usually last for as long as any topic is discussed. As soon as all characters change topic, or a new character enters, a new beat begins. By highlighting the beats in your script, you become aware of where new information is being delivered, or where a new balance in power has occurred. This in turn should affect your character, as this change will always affect what action you are playing, or change how close your character is to achieving their objective. Simply put, a new beat is a change in circumstances, and you as the performer should acknowledge these change of circumstances in your performance. If you pay attention to the beats your performance will have natural variation, and your performance will be serving the story and its structure. Defining beats is best done with your cast, scene partner or director, and usually if a director wants to use beats in their process, they will be discussed during the script analysis stage of rehearsals. Beats can be as long or as short as they need to be, as long as they define changes in the dynamics of a scene. Each beat should be titled, and these titles should be used to inform what is happening in the beat. Using beats can help you break down complex scenes into easily digestible moments, where you can focus on a section at a time, rather than trying to to tackle the sometimes overwhelming whole. 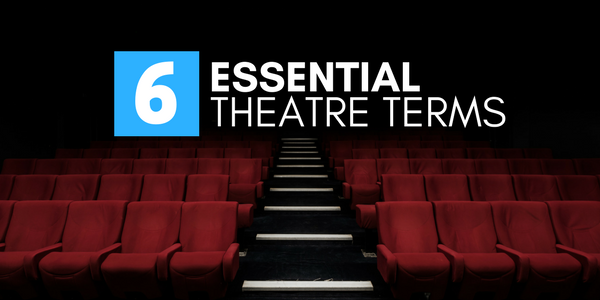 These are six of the most common acting terms you will hear in a rehearsal room, but there is always more to learn. Reading some of the great acting books is a great start, and asking questions. If you haven’t been to drama school or worked a lot in the theatre, there is a way of talking that takes time to understand.